Those working in the public sector may at some point find themselves having to deal with public scrutiny. This could be in the form of negative comments overheard at a social event to the headline in your local paper about misconduct of some sort. Especially today, the public sector is under a microscope of transparency regarding responsible and ethical conduct—and understandably so. After all, we are the executors of public services and are at the mercy of their funding. As taxpayers ourselves, we’d like to know how our money is being spent. The burden is on us, as public agents, to convey our worth and communicate effectively with our financiers. There are methods proven to put organizations in a more positive light, which also have enduring value should trouble start to brew. This means taking a long-term, proactive relationship-building approach, rather than waiting until issues explode and you are caught fighting fires. Do not be an ostrich, hiding your head in the sand, thinking that it will all blow over. Often, you are better served facing the music and being forthright in your response. Instead, be out there first and control the message. It is far better for you to deliver information to the media rather than defend against their findings. In fact, partner with the media to help get your message out to the public. Of course, be accurate and offer quality information. Become a reliable source of information that the media and public trusts. Communicate year-round and allow the public to relate to your operation and its people. The public sector does great work, but you may only hear about a scandal or mismanagement that is deemed by the media to be ‘news worthy.’ Instead of waiting for that to occur, self-promote. There are a number of social media options which allow you to reach the public and share your positive messaging on a regular basis. Start pushing out the good news about how your team serves the public day-to-day. As we’ve all heard before, a picture is worth a thousand words. Today, quality videos can be taken with a cell phone or other easily portable device. Frequency matters. While the public goes about their busy lives, the media are often searching for the next story–so constant communication is key. Take advantage of opportunities to share your accomplishments. Doing so also allows you to recognize your staff for the great work they do daily. Again, control the narrative. With technology today, this can be done without a huge marketing or public relations budget. It will, however, take commitment and planning to adopt a new relationship strategy. This is not a quick-fix cover-up or friendly facade. It’s about people and relationship building. The public will be much more forgiving of one screw-up when they’ve heard twenty fascinating stories about the wonderful contributions your operation has made. An expert in the field suggests, “Be part of your community rather than apart from your community.” Reacting after an incident often places the organization on the defensive, seemingly opposing side from the public. Your best opportunities instead come from being with them, side by side. If they trust you, they will come to your defense. If you are an unknown entity, they’ll believe the inflammatory news flash. The public wants and deserves to know what’s happening and it behooves you to communicate. Make a plan of how your unit can better connect with your community. Not only will this will help you in times of need (e.g. when rumors surface, changes occur, or if funding is needed), but it will also help breed a culture of community consciousness, recognition, and inclusion within your organization as well. 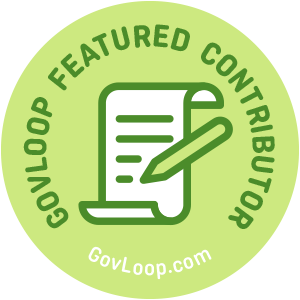 Lori Okami is a GovLoop Featured Contributor. She has over nine years of experience in local and state government in Human Resources, grants management, and as an educator, as well as over twenty years in the private sector. 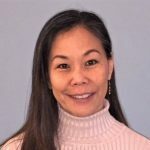 Lori has written over 400 health and fitness blogs for Hawaii’s premiere online news publication. Lori’s expertise is in organization alignment, change management, and customer relationship management (CRM). You can read her posts here.